29 Pines Restaurant is looking for an ambitious Line Cook to assist in the preparation of delicious dishes in the kitchen.This position would be 2pm-10pm, working approximately 24-40 hours a week. This position offers competitive wages, flexible scheduling, and employee discounts at most River Country Co-op locations. High school diploma or equivalent is desirable. If you would like to work in a positive environment that promotes teamwork, please go to: www.rivercountrycoop.com/contacts/employment to complete an online application, or stop by anytime to complete a paper application. Please contact us, with any questions, at 715‐874‐2929. 29 Pines is located at the intersection on Hwy T & Hwy 29, at 5872 33rd Avenue, Eau Claire WI. River Country Co-op on 3rd Street is looking for a friendly, reliable, energetic Cashier to join our team. This position is part-time, working approximately 20 hours a week from 12pm-10pm, including weekends. Must have great communication skills, the ability to work as a team and excel at customer service! Our goal is to offer a positive and fun atmosphere for all of our customers to enjoy. • Adhere to scheduled workweek, reliable and prompt when reporting to work. • Required to attend job related, in-service, meetings, and training to maintain professional and technical knowledge. • Provide excellent customer service; work with customers in a courteous and professional manner. • Perform cashier responsibilities including operation of cash register and ability to accurately handle money. • Check in and stock merchandise, and coolers; ensure a well-kept and clean store. • Effectively interact with Manager, fellow employees. • Check expiration dates and face product. Others: Must physically able to lift up to 50lb. Requires long periods of time standing, frequent bending, twisting and reaching. Must be at least 18 years old. River Country Co-op in Eau Claire, WI is looking to hire a reliable, energetic evening & weekend Maintenance Assistant. This position would be working 20-30 hours per week, including most weekends. Typical schedule will be Monday, Thursday, and Friday 4pm to 8pm, Saturday 12 to 8pm, and Sunday 12 to 4pm. Schedule may be adjusted seasonally or as workload changes. Must have working knowledge of plumbing, painting, HVAC, electrical, and other general repair skills. Repair equipment parts using hand tools and power tools. Perform routine preventive maintenance on machinery/buildings. Must be able to push, pull, lift and carry 50+ pounds. Frequently walk bend, climb, kneel, and extend reach to complete assigned tasks. Use of personal vehicle may be required. The Sleep Inn & Suites Conference Center is looking for friendly; energetic people to join our banquet team. This position is part-time, working evening and weekend events.This position includes a competitive wage and employee discounts. Hours available may vary due to scheduled events. Oversee events from start to finish ensuring all set up is complete, and event runs smoothly. Employees must possess the following hospitality skills:friendly personality, good communications skills, leadership, the ability to work well with others and provide quality services to the guests. Set up and take down for banquets and functions: tables, dance floor, decorations, etc…. Work with event coordinator to be sure everything is in place for the event. Banquet servers and set-up are expected to arrive 2 hours before a function and finish up pre-function duties before guests start arriving. Banquet set-up are expected to represent River Country Co-op to their fullest extent, meaning you are to keep a helpful and friendly demeanor at all times, are expected to go above and beyond the expectations of the guest to make their event experience the best. Others:Must physically able to lift up to 50lbs. Requires long periods of time standing, frequent bending, twisting and reaching. The Sleep Inn & Suites Conference Center is now searching for the perfect candidate to become our new Banquet Manager. This position is full-time and would include weekday and weekend events. The Banquet Manager would oversee events from start to finish ensuring all set up is complete, so the event runs smoothly. This position would also assist with/set up for events as scheduled. Employees must possess the following hospitality skills: friendly personality, good communications skills, leadership, and the ability to work well with others and provide quality services to the guest. Work with the event coordinator to be sure everything is in place for the event. Work as a banquet server as needed for extra coverage during the event. Banquet servers are expected to arrive 2 hours before a function and finish up pre-function duties before guest start arriving. Banquet servers are expected to represent River Country Co-op to their fullest extent. Meaning you are to keep a helpful and friendly demeanor at all times, are expected to go above and beyond the expectations of the guest to make their event experience the best. Others: Must physically able to lift up to 50lbs. Requires long periods of time standing, frequent bending, twisting and reaching. Sleep Inn & Suites is looking for a fun, energetic, and highly motivated individual to join our team, part-time, as a front desk associate. The front desk associate would work first shift & swing shifts, approximately 16-24 hours a week, including every other weekend. We also have a second shift position available that would be approximately 24-32 hours a week, including every other weekend. Your interaction with guests can set the tone for the entire guest experience and potentially impact the entire brand. Your genuine warmth and helpful nature is essential in creating a great experience for our guests. Must physically be able to lift up to 50lbs. Requires long periods of time standing, frequent bending, twisting, and reaching. Apply Today: Fill out an application online at https://www.rivercountrycoop.com/contacts/employment, or stop by our location to fill out a paper application. River Country Co-op in Prairie Farm, WI is looking for a friendly, reliable, energetic Deli Associate / Cashier to join our team.This position is full-time, working 32-40 hours a week from either 1pm-7pm or 2pm-10pm, including every other weekend. • Responsible for preparing food properly, cooking food, serving food and discarding expired food products. • Responsible for recognizing ways to reduce food waste and utilization of leftovers. River Country Co-op is a mid-sized farmer owned Cooperative in NW Wisconsin that has global reaches. We are currently looking to fill a position for a Grain Originator at our Bloomer, WI facility that would be under the direction of our VP of Grain. We are looking for an individual that takes pride in their work and is looking to grow within the cooperative system. 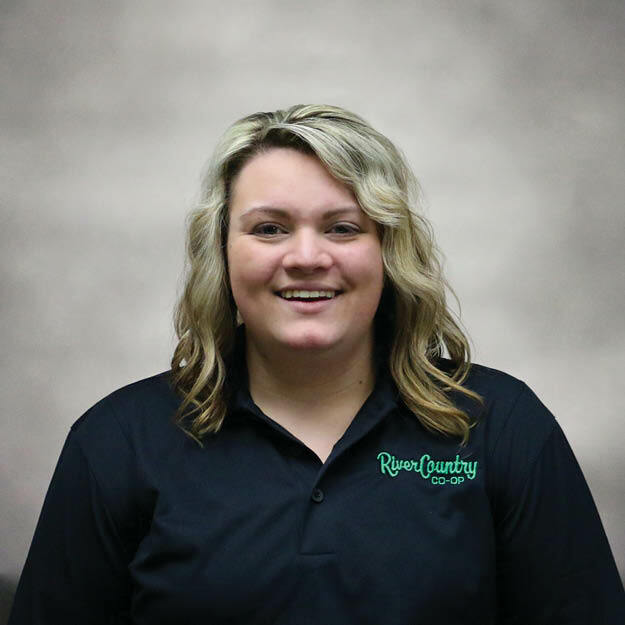 River Country Co-op is made up of hard working and trustworthy individuals that are the core of building our lasting relationships with our farmer customers & owners. We are seeking a talented individual that would help grow our network even more. River Country Co-op is a member-owned cooperative that has divisions in Grain, Agronomy, Energy, Feed, Retail and Hospitality. Our employees are comprised of good people that work together to make things better for our customers and other employees. We are looking for someone that will come with the similar principals that we all carry here at the Co-op. We are a steadily growing cooperative that is continually looking for good employees that can grow within the co-op. River Country Co-op in Eau Claire, WI is now accepting applications for the Eau Claire Travel Center. Deli Associate: The Eau Claire Travel Center is looking for a friendly, reliable, energetic Deli Associate to join our team. This position is part-time, working 24-32 hours a week from 5:30am-1:30pm, including some weekends. 1st shift Cashier: The Eau Claire Travel Center is looking for a friendly, reliable, energetic Cashier to join our team. This position is part-time, working 24-32 hours a week from 7am-3pm, including weekends. 2nd shift Cashier: The Eau Claire Travel Center is looking for a friendly, reliable, energetic Cashier to join our team. This position is part-time, working 24-32 hours a week from 3pm-11pm, including weekends. 3rd shift Cashier: The Eau Claire Travel Center is looking for a friendly, reliable, energetic Cashier to join our team. This position is full-time, working 32-40 hours a week from 11pm-7am, with alternating weekends. We are looking for an individual that will take pride in their work, enjoy working with customers, are safety conscious and will take ownership in what they are doing. Grain can be the lifeblood of the world and we are providing our part in intricate network or producing food for the world. Must be 18 or older and have the ability to work in elevated areas. River Country Co-op is now accepting applications in their Agronomy division for a Custom Applicator. River Country Co-op in Gilman, WI is looking for a friendly, reliable, energetic Cashier / Deli Associate to join our team. This position is part-time, working from 2pm to 9pm, 15-20 hours a week, including alternating weekends. Others: Must physically able to lift up to 50lb. Requires long periods of time standing, frequent bending, twisting and reaching. River Country Co-op in Chippewa Falls, WI is looking for a friendly, reliable, energetic Cashier / Deli Associate to join our team.This position is full-time, working 32 hours a week, mid-day and evening shifts including alternating weekends. River Country Co-op in Bloomer, WI is looking for a friendly, reliable, energetic individual to join our team at the at our Bloomer convenience store. This position is 2nd shift and would be approximately 32-40 hours a week, with alternating weekends. Must be 18 or older. • Perform store associate responsibilities including operation of cash register and ability to accurately handle money. Sleep Inn & Suites in Eau Claire is looking to hire a few housekeepers. This position is part-time, working approximately 6-18 hours a weekend. This position includes a competitive wage and employee discounts. Perform any combination of light cleaning duties to maintain hotel and make guest feel welcome. Meet quality standards for services and customer satisfaction. Works cooperatively with others and accepts direction from supervisors. Cleaning rooms and hallways, lobbies, lounges, restrooms, corridors, elevators, stairways. Cheerfully greets and interacts with customers and vendors. Carry linens, towels, toilet items, and cleaning supplies, using a wheeled cart. Empty wastebaskets, and transport other trash and waste to disposal areas. Replenish supplies such as drinking glasses, linens, writing supplies, and bathroom items. Keep storage areas and carts well-stocked, clean and tidy. Effectively interacts with Manager, fellow employees. River Country Co-op in Eau Claire, WI is looking for friendly, reliable, energetic individuals to join our team as a Cashier/Deli Associate at our Ferry Street location. Deli Associate: This position is part-time, working 24-32 hours a week from 5:30am-1:30pm, including some weekends. 2nd shift Cashier: This position is part-time, working 24-32 hours a week from 12pm-10pm, including some weekends. Must have great communication skills, the ability to work as a team, and excel at customer service! Our goal is to offer a positive and fun atmosphere for all of our customers to enjoy. River Country Co-op is now accepting applications to add a few semi drivers to their trucking division for the season. Drivers would be responsible for hauling agricultural commodities, to and from our company, to destinations within 200 miles of Chippewa Falls, WI. Person must follow all DOT safety rules and abide by driving laws of CDL at all times. Hours will vary but will average around 40 hours a week with no overnight stays. Some overtime will be required in spring and fall including weekends. This position includes excellent pay and employee discounts. Looking for a great opportunity to be part of River Country Co-op? We are one of the largest locally-owned and operated cooperatives in Northwestern Wisconsin. As our company continues to grow, your future for a career can be as bright as you want it to be. We offer positions in customer service, hospitality, and agriculture.